Hi! I am a martian scientist and the member of Planet Four team. I am trying hard to answer many questions that you post in our forum. I notice that some questions come up more often than others, indicating what we have missed in our FAQs page. These are yardangs, traces of aeolian (that is wind-related) erosion. They are long parallel ridges. They form when wind removes soft, friable material and are oriented along the direction of the strongest winds. Yardangs are known in deserts on the Earth and are abundant on Mars. In this particular place, yardangs are remarkably regular, long, parallel. This fascinating regularity is probably caused by coincidence of two things. First, the material here is very homogeneous; it is slightly cemented dust; there are no embedded boulders, etc. This is the material of the South polar layered deposits, it was deposited from the atmosphere as a mixture of snow, frost and dust under different climate conditions in the past. Recently (geologically recently, hundreds of thousands of years) ice (former snow and frost) sublimated (evaporated) from the near-surface layer of this material, and the remaining slightly cemented dust is friable and homogeneous. Second, the strongest winds in this place are very stable. The polar layered deposits have a general shape of a ~700 km wide ~3 km high dome. The strongest winds here are so-called katabatic winds made by flow of cold (=dense) air from the pole on top of the dome downhill. People who have been to Antarctica or Greenland know katabatic winds very well. Because katabatic winds are controlled by slopes, they are much more stable than winds controlled by weather phenomena. The direction of the spring-time fans in this region often differs from the direction of the yardangs, because spring-time winds are not those strongest winds that shape the surface. I hope, similar to me, you also enjoyed getting to know something new about Martian geology today. Hi Anya, Thank you for this, I was really fascinated by the one I found. If wind direction is one of the things you are looking to assess would a marker for parallel groove directions be useful? First, you are very welcome! This project is about spring winds, that’s why yardangs’ direction that shows average summer winds is not that important for us right now. The list of most used tags is in forum boards on the left http://talk.planetfour.org/#/boards but I also can not find a complete list of all ever used tags… I’ll ask our software team. Really thank you for the help and interest! Thanks, Anya. Do you mean the wide flat-topped red/orange banded features are the yardangs, with narrow gullies between (traces of pinkish-brown sand)? You might be right, though other similarly striated surfaces often seem to be filled with boulders along the gullies, but in these cases no evidence of tails of sand you might expect in the leeward side of boulders. I don’t have any alternative theory, though. Actually, if I understand it right, the narrow parts are ridges and they are the yardangs. Again, it’s hard to see on this image because it is covered by ice, if one goes to this location in summer, it’s more obvious. The link for the summer image is here http://www.uahirise.org/PSP_004736_0950 Flat areas are the places where erosion removed the soft(er) material. I think, there is nothing wrong with having boulders in-between yardangs, Michail just wanted to point out that in this particular location the material is so soft, it even does not leave any boulders behind when undergoes erosion. What are the very fine lines that run left to right as well as up and down. They appear to cut through the yardangs. As I can not see those lines in summer images of the location, I think, they are something inside or on top of the seasonal ice cover. Thanks for explaining the yardangs. Is it worth changing the hashtag to #yardangs for people to find your blog post? I think, it is fine to add new hashtag, though no need to re-tag all existing. Unless you saved a collection of them and it’s really easy. Perhaps you can help me get some perspective with respect to these yardangs. In the photo example you’ve posted, what is an average length of these ridges. Kms? Meters? ….what is the disance between the ridges, and do you have any idea of the typical height from ridge crest to surface brelow? Perhaps you can help me get some perspective with respect to these yardangs. In the photo example you’ve posted, what is the length of these ridges. Kms? Meters? ….what is the disance between the ridges, and do you have any idea of the typical height from ridge crest to surface brelow? The length of those ridges is at least hundreds of meters (the image is anywhere from 800m to 2km across. So, the distance between the ridges is in the range of tens to hundred meters. I do not have enough shadow to talk about height, but they are rather flat, maybe first meters only. Hope this helps! Thank you for your reply. It does help, but I have another question. I followed your link to the “summer” image of the same location. I’m quite perplexed, because I see NO evidence of the ridges I thought I would see if the yardangs are more than seasonal features. Here I’ve overlaid the “winter” image on top of the “summer” image, and I can’t see the connection. Where are the “ridges” that mark the yardangs? Something went wrong with your link – it points to dropbox home for me. If you go here http://hirise-pds.lpl.arizona.edu/PDS/EXTRAS/RDR/PSP/ORB_004700_004799/PSP_004736_0950/PSP_004736_0950_IRB.NOMAP.browse.jpg you’ll see yardangs at the very top of the image. This is summer image of the same location, but not exactly the same coverage, I believe. I’m sorry about the erroneous link. In a reply to Ian Button on Jan 15, you gave him a link to a “summer image”. I assumed it was an image of the same general location that you used in your yardang explanation. So, I used the summer image as the background image in my composite, and super-imposed your ‘winter'(?) image on it. Here is the corrected dropbox link. I was unable to see any connection between the two images. Now, in your latest response, I can clearly see the connection, so my question is; …. Was that first “summer image” http://www.uahirise.org/PSP_004736_0950 relevant, or was that an error. Looks like an area of spider development to me….or are they somehow related? http://www.uahirise.org/PSP_004736_0950 is relevant too. You just have to go to the complete image on that link. There is a box “Image Products” on that page and several products listed in it (mapped/no-map/color/b&w/jpegs/jp2000/etc.) – chose one you like, for ex. 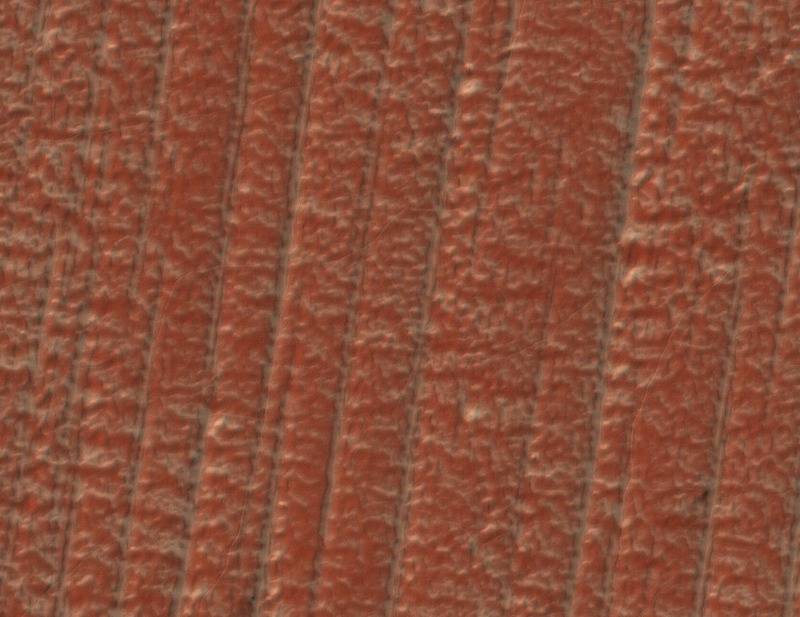 http://hirise-pds.lpl.arizona.edu/PDS/EXTRAS/RDR/PSP/ORB_004700_004799/PSP_004736_0950/PSP_004736_0950_IRB.NOMAP.browse.jpg and see top of that image! That is outstanding! It more or less confirms something I’ve been suspecting from the images we are classifying. The only thing I can see with IE is the image ‘strips’, and there is no way to use the “tools’ I see mentioned….in fact I can’t even see the tools. I sure wish we had the “context map” feature, but I realize it’s not really necessary for the project at hand…..all this other exploration just distracts me from the mission anyway! Anya. At the top of the summer image, as posted 31 Jan @ 8:37, there’s what appears to be a problem with the camera filters. the left side of the image is pink and I’m assuming therefore that the pink colouration is down to a glitch rather than the other 98% or the image? The pink colour is however what were used to as the colour for most of the yardangs we’ve been looking at, so are those images also falsely coloured? You also say above that you can’t seen any of the very fine lines on the summer images. Do you have higher resolution images than these? The fine lines are only a couple of pixels big on the classification images and wouldn’t be visible at the resolution of these large images. I think, the red-ish hint of other yardangs images is not a glitch, but still does not tell you much, because the tint of color composite depends on the relative levels in color channels and they are picked by “blind” algorithm. The aim of the algorithm is to bring up most of color differences. If there is not much of those, it still lands on something that is *mathematically* speaking max(color differences). If you go to HiRISE page and load jpeg2000 – that is the highest resolution we have. I think, I checked those summer images for the fine lines and did not see any. You are welcome to check on me! Hi Anya been looking at the summer image – there are still blotches and fans visible on some of the spiders in the middle of the image. is the wole thing ice free or could these be evidence of fan dust on the ground? It most probably evidence of fan dust on ground. We see only couple of locations with such examples, usually, the fans disappear in summer. Are they really 8 months apart or are they both the same image? What season do they show? Your both links point to the same image just different versions of the data: first one is only RED filter, second one RED filter with overplayed color (IRB) data. The image was taken 17 August 2008. It is in the northern polar areas (82N, 333E) and it was northern summer when the image is taken. Here http://hirise.lpl.arizona.edu/ESP_027470_2620 you can see second image of the same location. The dark area is not that dark in this one (even so it’s also taken during summer) and it changed appearance slightly. I think it is moving dark sand patch, but it also might be similar jet activity – hard to say from only these 2 images. Anya if you look at the bottom right edge of the dark area there are what look like fairly well defined fans leading into the large dark area, theres also what looks like a depression, so probably a rise, running through the middle of the dark.